Smart ForTwo EQ Running Costs, MPG, Economy, Reliability, Safety | What Car? The Smart Fortwo Coupé is actually one of the cheapest routes into electric car ownership and will save you a few thousand pounds over the Volkswagen e-Up. The Renault Zoe isn’t that much more than the Fortwo, though, and offers so much more in terms of everyday usability. However, that’s only if you lease the Zoe’s battery, because if you buy it outright, the Zoe is a far pricier prospect (click here to read our Zoe review for a better understanding of battery leasing versus buying outright). Although the Zoe has a much bigger range, that’s simply down to its larger, 41kW battery (the Smart’s is 17.6kW) and not because the Fortwo is any less efficient. 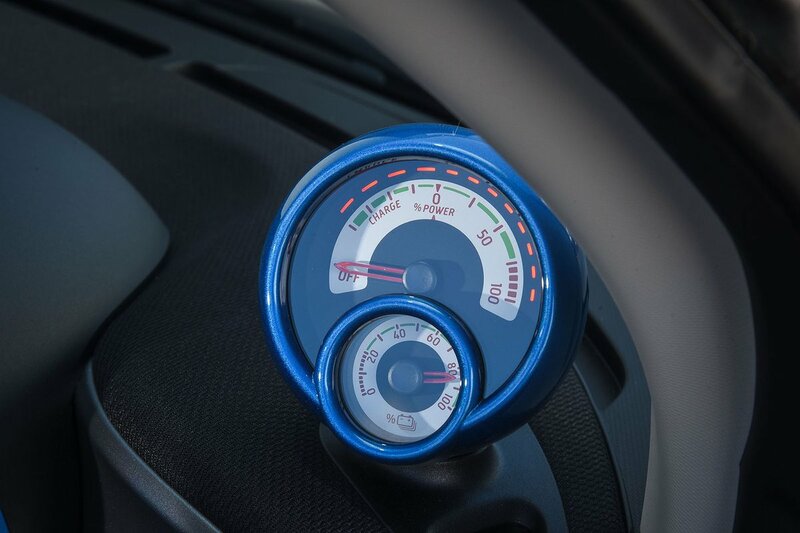 In fact, according to our tests, the Fortwo EQ uses energy at an identical rate to the Zoe, so while you’ll be charging it more often because it can hold less charge, the amount you’ll spend on electricity should work out very similar. How long does it take to charge the Fortwo EQ? That depends on whether you opt for the 7kW charging version, which takes two and a half hours from a home wallbox, or the slightly more expensive 22kW option, which will charge in just 40 minutes. We’d opt for the latter to get the extra flexibility. The Premium Plus equipment line package isn’t too expensive and adds some useful extras, such as the rear-view camera we mentioned earlier, so it’s worth consideration. The Edition Nightsky trim has this as standard, but most of the other upgrades are purely cosmetic and make the huge jump in price hard to justify. The Fortwo isn’t rated by Euro NCAP as highly as the Renault Zoe for safety. It received a four-star rating, compared with the Zoe’s five stars, with weaker scores in the adult occupant and pedestrian categories. You do get automatic emergency braking as standard, while lane-keeping assistance is a reasonably priced option. 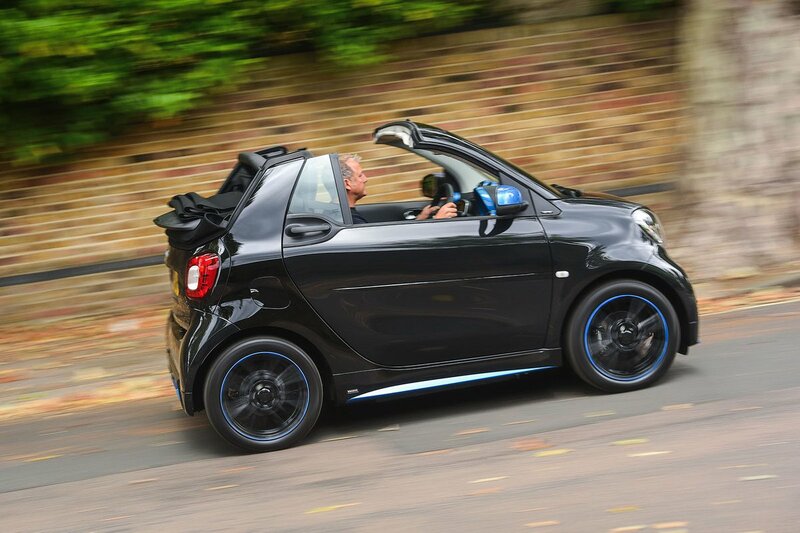 A three-year, unlimited-mileage warranty is standard on the Smart Fortwo, and the EQ’s battery is covered for up to eight years or 62,500 miles – longer than the five years or 60,000 miles you get with the Zoe. 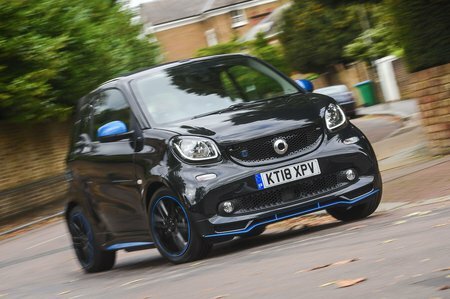 If you were to describe the proportions of the ultimate city car, the Smart Fortwo EQ might well provide the template. Nothing with doors offers such dinky dimensions, which allows you to scoot through gaps and park in the tightest spaces that other city cars simply can't match. And in terms of electric car ownership, there's very little else that's cheaper. Yet it's not all good news. The Fortwo EQ's ride leaves a lot to be desired, clearly space is an issue - with only two seats and a small boot - but most of all the range limits you to, well, the city limits; stray far beyond them and the battery will be empty very quickly. For that reason we'd suggest looking instead at the more practical, both in terms of range and space, Renault Zoe.